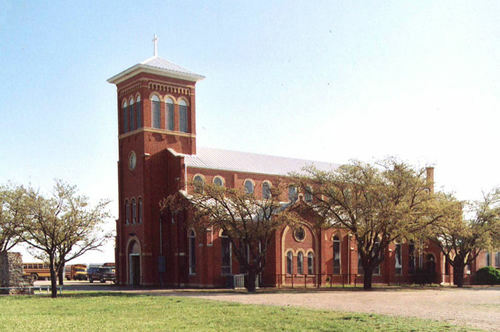 Olfen, ten miles north of the confluence of the Colorado and Concho rivers in Runnels County, is a German Catholic community. 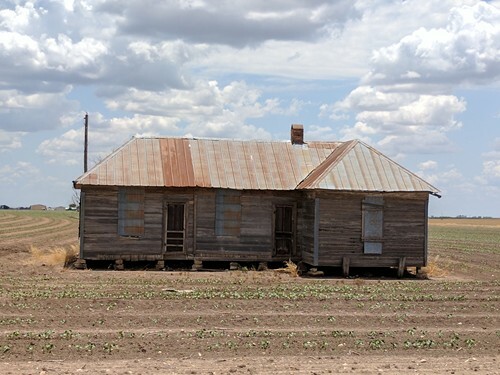 In the early 1890s German Catholics who had immigrated to Colorado, Fayette, and other counties in Southeast Texas from 1846 to 1890 looked toward West Texas for farmland, a healthy climate, and a place to establish a Catholic environment. By the 1890s the railroad had built as far as Ballinger on the Colorado River. 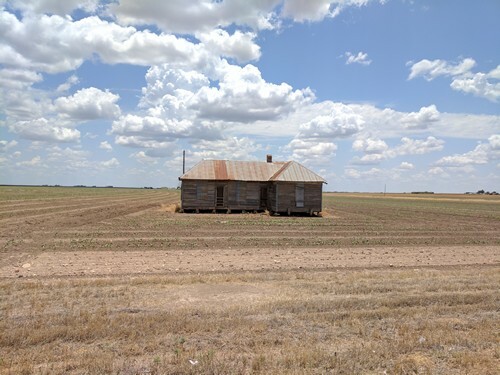 Bernard Matthiesen, from Ellinger in Fayette County, went by train to Ballinger in June 1891 and again in October 1891 by horse and wagon to look for farmland. In 1893 he bought land and moved his wife Elizabeth (Hoelscher) and family to what is now Olfen. In 1901 Matthiesen and Willy Glass wrote to Bishop John Anthony Forest in San Antonio and obtained permission to build a school, to be used also as a church. Father Frank Maas was the first pastor. The community was first called Fussy Creek, then Maas, and finally Olfen, after Olfen in Westphalia. The first mass in the church-school was the wedding mass of Bernard Niehues and Amalia Matthiesen. The new bride, given the privilege of naming the church, chose the name St. Boniface, for a popular German saint. The community grew quickly. In 1909 Father Frank Garmann, who had succeeded Father Maas, built a new church. In 1921 a group of men from outside Olfen, whipped up by the anti-German sentiment during and after World War I, took Father Joseph Meiser from the rectory, intending to tar and feather him. Unknown to them the housekeeper, who had managed to conceal herself, telephoned parishioners, and within minutes a caravan of cars was in pursuit. The men, seeing them, pounded on Father Meiser and shoved him out of the car, giving up the plan to tar and feather him. The 1909 church burned to the ground on January 15, 1922. The people immediately got to work and in ten months built a large and beautiful Romanesque church, dedicated on November 16, 1922. The community was still listed in 1990. From "Eighteen Ghost Towns of Runnels County" by Alton O'Neil Jr.